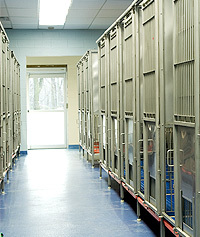 NGAP's new 25,000 square foot Adoption Kennel houses between 40-50 adoptable greyhounds at any given time - and sometimes more! All of our dogs enjoy a clean, comfortable, climate controlled environment and are constantly monitored by 26 interior and exterior surveillance cameras. 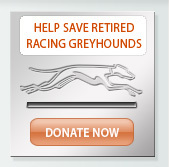 Each of our greyhound runs are approximately 4' x 6'. They have raised floors consisting of rubber coated metal grating with an additional rubber mat over the grate. 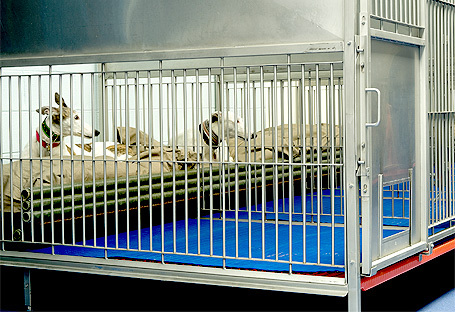 This affords a clean and comfortable area for our dogs to move around and rest in. There is also a large raised area in the back, complete with fluffy bed. It never takes new arrivals from the track very long to find that bed! We regularly see dogs sprawled out or belly-up on these beds. As an added detail, our ceiling light panels are superimposed with a bright blue sky and clouds to bring the outside in even on the rainiest of days. Our greyhounds are fed at 8am and again at 3:30pm. 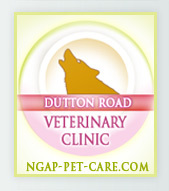 We feed a blend of premium dry dog food mixed with half a can of wet dog food so as not to disrupt our dogs' digestive systems and to help make the transition from track to kennel to new home a smooth one. We have four sand-filled, exercise yards for our dogs to run and play in, each measuring 20' x 100' and three interior runs in the event of inclement weather. 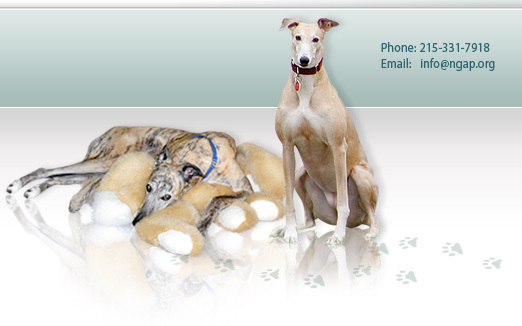 We are extremely proud of our kennel and love to have visitors walk and socialize our greyhounds or just come see what we have worked so hard over the past 20 years to accomplish. We invite all to come and have a look around during our visiting hours! Come and meet your new best friend today!